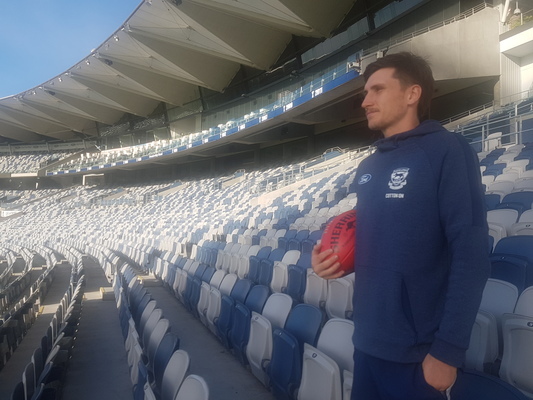 Earning an AFL Rising Star nomination in his second game was a “special feeling” for Geelong’s Charlie Constable. The nomination followed the tall midfielder putting on a show in front of a roaring home crowd during the Cats’ 80-point win over Melbourne, racking up 31 possessions and a goal in 69 per cent of game-time. “It’s a bit of a good reward for some hard work that’s gone in through the pre-season and then the start of the season as well,” Constable said. The number 36 pick in the 2017 draft pushed for debut in 2018 but was unsuccessful despite averaging 25 disposals a game in the VFL. “I was a bit unlucky a few times last year but we had such a good side that it was hard to break into the midfield,” Constable said. 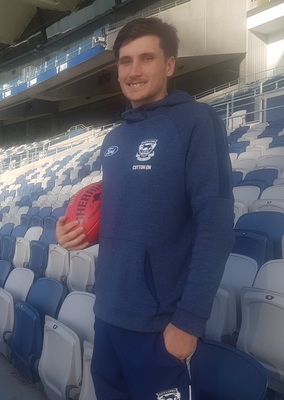 Being named a seniors emergency six times last year gave him a “clear indication” of how to earn selection in 2019, he said. The 19-year-old spent the pre-season improving his fitness with Fremantle star and “good mate” Andrew Brayshaw. “I had to train pretty hard on my running,” he said. In his seniors debut before more than 78,000 fans at the MCG Constable finished with 21 possessions and a crucial final-term goal in the narrow win over Collingwood. His 31 disposals on Saturday was second-highest for Geelong against the Demons. Constable “loved the challenge” of playing on Dees 2017 best-and-fairest winner Clayton Oliver. “I always thought he was a good player but playing on him on the weekend – he’s pretty special. Constable said his coaches placed “a lot of trust” on the young Cats players. “It lets you focus on your game and not worry about other stuff,” he said. Constable said he “absolutely” learned from the Cats ‘opening games against two of last year’s preliminary finalists. Constable had also learned to “embrace everything” about professional football after his whirlwind start to the year. “I just try to enjoy each moment that I get,” he said.